The Game Developers Conference kicked off in downtown San Francisco yesterday, and consolidation is a central theme for this year’s attendees. Late last week, we talked with Kevin Chou, co-founder and CEO of the gaming company Kabam, about his own both stressful and euphoric experience in running a gaming startup for roughly a decade before selling most of its assets in December to South Korea’s Netmarble Games for a reported $700 million to $800 million. His earliest investor, Maha Ibrahim of Canaan Partners, joined the conversation to share her perspective on the company’s highs, lows and in-between moments, too. Our conversation has been edited for length and clarity. TC: Kevin, you spent a little time working for Maha as a junior investor at Canaan before founding Kabam . In fact, Kabam was incubated at Canaan’s offices. At what point did you know you wanted to create a gaming company? KC: I was definitely excited about what was happening with the consumer internet. This was in 2006, when Facebook was still mostly focused on college students. I wanted to start a social network for young professionals, but after some twists and turns, it became a gaming company. MI: Kevin and his three co-founders were trying to build a better LinkedIn, but we found out with the seed money that we gave the company that it wasn’t working. I told him he could either give back the $250,000 we’d given him or find something else to do with it. So that first pivot was called Watercooler. It was a social network for sports and TV and movie fans. KC: It grew on the back of Facebook. At its peak, it was getting 2 billion page views per month, but we couldn’t monetize it at all. So we dabbled a bit more in fantasy sports. MI: I’d given the company a Series A at that point, and there was this moment at this café in Mountain View where Kevin was totally stressed out. He’d taken up smoking again because he couldn’t figure out how to make money off [Watercooler]. So it was around this time — right, Kevin? — that he pivoted into becoming a Facebook game provider, with Kingdoms of Camelot, which became a massive hit. TC: So two pivots so far. KC: At first, Facebook said [to game developers], “You’ll keep all the revenue, but we own the real estate around the frame,” so the economics were built on that type of relationship. Then, [in a later, somewhat infamous development] Facebook said we’re going to take 30 percent of everyone’s revenue. To be fair, Apple and other [platform companies] were also taking a 30 percent revenue share, but the way that Facebook had tried to build out platform — the way they used real estate — made it very difficult to operate a full-fledged game. You couldn’t control the entire experience. And then with that 30 percent tax, it became a very different business for us. We went from being very profitable to very not profitable overnight. We knew we couldn’t be 100 percent dependent on its platform anymore. TC: How did you start that shift to live outside of Facebook’s walled garden? KC: We’d already begun thinking about mobile. We started working with [the community-based gaming platform] Steam and Google and Mozilla’s Firefox initially to start to diversify the gaming experience, and over the next 12 months, we were deriving about 50 percent of our revenue off other platforms. Then, over the next 12 months after that, we had to do it all over again by moving to mobile. [That was painful.] On Steam and a few other [platforms], to change or update your button, you just hit a button. With Apple, you had to sit in a queue for 10 to 20 days, then someone would manually review your software, and if they thought there was something wrong with it, you had to figure how to meet their requirements, then wait another 10 to 20 days in the queue [after addressing that issue]. So instead of pushing out features once a day, it became once a month. It was a dramatically different process, especially on top of all the economic issues we were dealing with. TC: Were employees quitting out of frustration with all these zigs and zags? KC: We definitely lost a lot of people. We had to change over at least half our engineering team; a front-end developer wasn’t necessarily [as expert in] mobile-client development. Our marketing spend also had to change a lot in our move from Facebook to the mobile web, and that required different skill sets. Every time we made a change, we had a double dose of employee turnover — voluntary turnover and involuntary turnover based on changes we needed to make. TC: How soon after you made the switch did you come up with “Marvel Contest of Champions,” the title that captured Netmarble’s attention? KC: We had a number of hit games before that, including “Kingdoms of Camelot,” which Maha mentioned. It’s made $350 million in its lifetime and it’s still going. TC: What’s the lifespan for these games? KC: Well, in the gaming market, a secondary market developed, so [you] can sell a title to another company and they run it for as long as [they choose]. We sold a whole bundle — our entire web business of 20 games — to a games publisher called RockYou for double-digit millions of dollars [in late 2014]. It’s all based on profitability multiples, which were declining because web gaming was shifting to mobile. TC: Was there an auction process? KC: The gaming ecosystem is a pretty tight one, so companies will go to conferences and try and do a deal. The secondary market was just starting to emerge a few years ago and it’s not very developed in Western markets; they’re much larger in Japan and China. It’s still really just RockYou and a number of small companies that are doing it, and we know them pretty well, so it’s a direct negotiation. TC: What have your biggest mobile-only titles been? KC: “Battle of the North,” a sequel to “Kingdoms of Camelot,” became the top game on iOS in 2012. 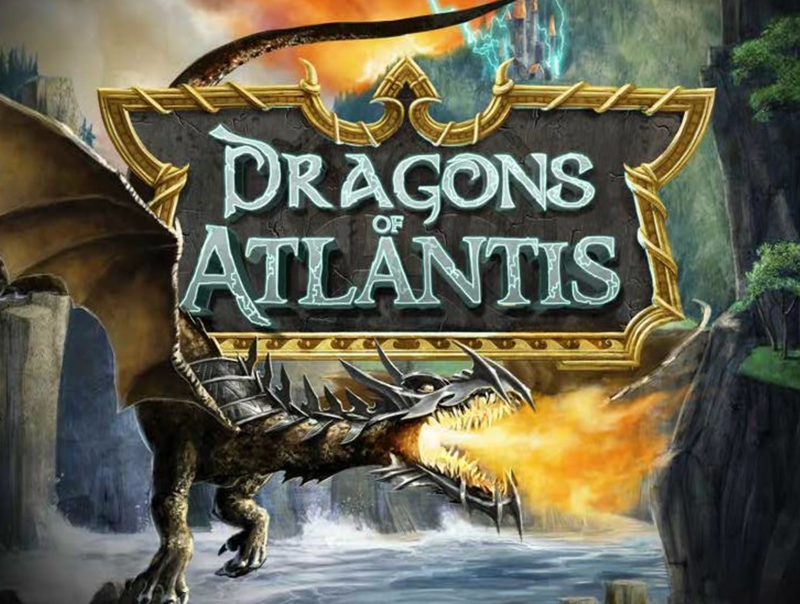 And we followed that up with “Dragons of Atlantis,” another sequel to a Facebook game, and a third hit, “The Hobbit,” which we did in collaboration with Warner Brothers. Then “Marvel” became our fourth major hit. TC: But you sold, even though these hits seem to have longer runs than ever before. KC: It’s not exactly fair to call gaming a hits-driven business. “World of Warcraft” is still making more than $800 million a year and it came out 13 years ago. “Call of Duty” was created more than a decade ago, and [its publicly traded parent company] Activision [Blizzard] stopped breaking out revenue for that game, but I believe it’s still generating more than $1 billion a year. “Candy Crush” came out about five years ago and it’s still one of the top-grossing games on Android. The life cycle, if done right, is 10 to 15 years. Ideally, you grow the title for three to five years, then hit a nice plateau, then have slow decline from there that can last another five to seven years. TC: So you were more or less tired and decided to sell? That’s certainly reasonable. KC: I’d been running this business from its founding to the point where it [was earning] $400 million in annual revenue. I loved the business and the people I worked with, but we’d been doing this for a long time and we thought: If we find the right time, let’s lean into an exit, and last year became a good time. TC: Was there any point where you thought you’d take Kabam public? KC: It’s been a tough five years in terms of public perception, including because of Zynga and its IPO and subsequent decline and founder issues. We decided with the board that partly owing to that perception, we shouldn’t continue pushing down a public path. Also, the gaming business is one of few industries where you see nice profitability, but you also get valued off that profitability. For a while after Zynga’s IPO, deals were getting done at 6 to 7 times EBITDA multiples. Then last year’s sale of SuperCell to Tencent for about $10 billion — that was done at a more than 10x EBITDA multiple. So we went from this multiple compression when Zynga went out — compressing with its stock price deflating across the entire gaming sector — then swinging by back as [recognition] grew that the life cycle of games is becoming longer. There haven’t been many times when there’s been a healthy window, and we’d started getting calls from companies in the U.S. and internationally, so we had a banker help us negotiate a deal that would also work for our shareholders [who’d given us $240 million altogether]. TC: Have you been flopped out on a coach since selling to Netmarble? KC: Netmarble bought our most profitable studio, but we have another two studios in the business and we’re talking [with potential acquirers about those], so it’ll be another couple of months before we wrap up and are truly done. But in terms of how I’m feeling, I’m really happy. You can be a small and independent, but when brand reach and consumer reach really matters, you can enjoy a lot more success by joining with other companies. Take our Vancouver studio [which is now part of Netmarble]. If the next game doesn’t do as well as they hoped, they don’t have to worry as much. Or if a project is delayed or not as successful, [it’s not as stressful] because of the broader portfolio. TC: Advice to newer game developers? KC: Really make sure you give yourself enough funding to go for two or three games. The biggest mistake I see is developers that raise enough for just one game, but if it doesn’t work out, your company essentially evaporates. TC: Maha, would you fund another mobile gaming company? MI: Until VR or another platform with potential takes off, I don’t see myself investing in a mobile gaming company. I think the opportunity lies mostly in large conglomerates, which own most of the top-growing titles. Every now and then, you’ll see a random game capture the interest of consumers. But we don’t play with random. Update: This story originally reported that Kabam was sold for $700 million. According to a source who spoke on the condition of anonymity because the terms of the deal are confidential, the acquisition price was $800 million, with $700 million paid at close and $100 million in a 12-month earn-out. The purchase was for the company’s Vancouver studio; the remaining Kabam assets have spun off into a new company called Aftershock, which will be sold separately.